The content of this article provides interesting history, facts and information about the Emperor Nerva and the all-powerful Caesars who ruled the empire of Ancient Rome. "The first of the Five Good Emperors"
Short Biography profile and facts about one of the most famous Romans of all, in the life of Nerva, Emperor of Rome and provinces of the Roman Empire. Nerva was sixty-four years old when he was proclaimed emperor upon the death of Domitian. He was a native of the town of Narnia. The Praetorians, who had not been consulted in his election, never looked upon him with favor, and Nerva was obliged to act cautiously. Nerva stopped trials for high treason, pardoned political offenders, diminished taxes, recalled exiles in order to attain popularity. 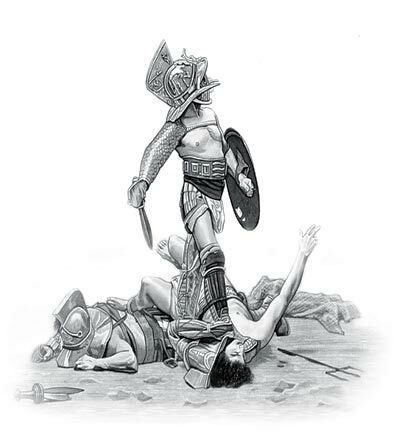 But the Praetorians became mutinous and Nerva, having no heirs, was forced to adopt a colleague in order to increase his own authority and rule. Nerva selected M. Ulpius Trajan, a distinguished general, who was in command of the army of Lower Germany. Nerva died of a fever at the Gardens of Sallust, Rome, January 27, A.D. 98. The content of this Nerva category in the Emperors of Ancient Rome provides free educational details, facts and information for reference and research for schools, colleges and homework. Refer to the Colosseum Sitemap for a comprehensive search on interesting different categories containing the history, facts and information about the lives and people of Ancient Rome.